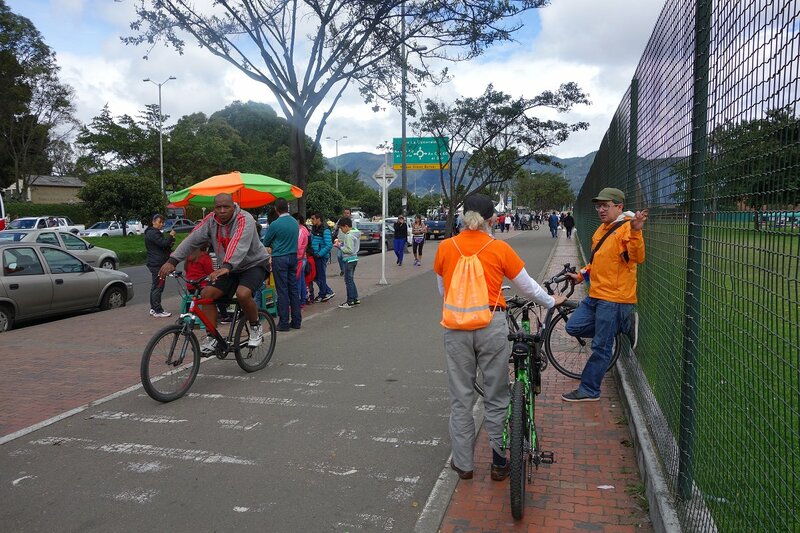 April 27, 2015 Favas.net in co-operation with GoDutchCycling and Urbanos (Amsterdam, NL) used the yearly ‘Ciclovia Naranja’ in Bogotá to present lessons from Dutch cycling practices. Meanwhile we enjoyed the weekly ‘Ciclovia’. 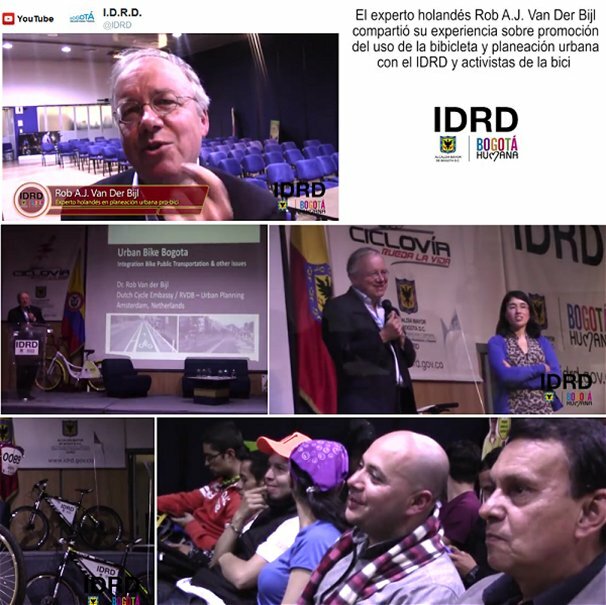 The ‘Instituto Distrital de Recreación y Deporte’ (IDRD) hosted our presentation for an audience of local bike leaders during a special conference chaired by IDRD’s director. Besides technical transport issues, Rob van der Bijl (Favas.net) addressed topics regarding incremental network planning, traffic safety and crime-related safety. Camila Pinzon (Urbanos) presented the role of citizens movement. Some specific social topics were subject of discussion with the audience. In Bogotá, poverty is massive and omnipresent. The city is strongly segregated socially. Unfortunately this situation represents a serious obstacle to further development of cycling in Bogotá and other cities in Colombia. The weekly Ciclovías (Spanish for ‘cycle ways’) in Bogotá are very popular, particularly for the citizens in the prosperous areas of the metropolis. About 120 km of car-free streets in the central city is used every Sunday morning. Once a year ‘Ciclovia Naranja’ coincides with a Ciclovía in Bogotá. See also: GoDutchCycling, Dutch Cycling Embassy, Urbanos.